http://www.durgan.org/2015/July%202015/27%20July%202015%20Red%20Pontiac%20Potato/HTML/ 27 July 2015 Red Pontiac PotatoOne Red Pontiac Potato plant was dug.This was the first of the Season. The yield was three pounds of quality potatoes. The vegetation was not dead, so there was still some growth for the tubers if left undisturbed. 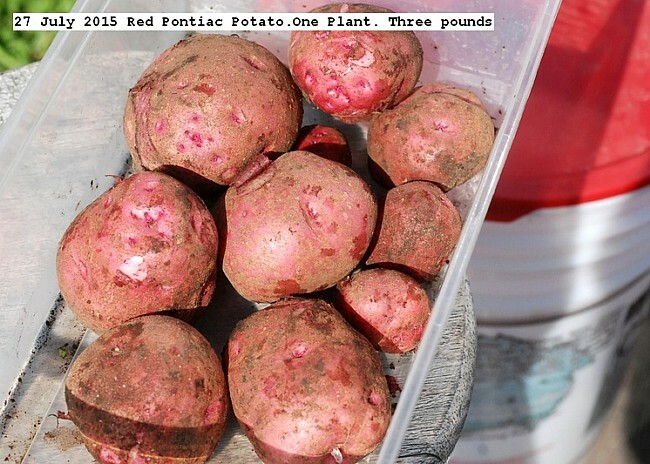 This entry was posted in Uncategorized and tagged Red Pontiac Potato. Bookmark the permalink.